MedPlus Services USA, exclusively for medical and dental distributors, is your one-stop, single source for purchasing medical and dental products and supplies at competitive prices. 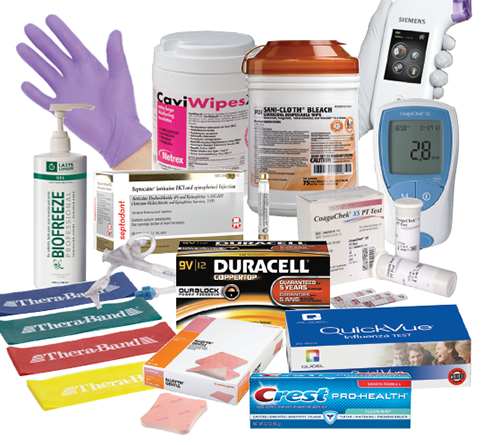 With over 300 healthcare and dental manufacturers' products in stock and available from our warehouses, you are well positioned to meet the needs of your customer. More importantly, you will be competitive in today's challenging marketplace. MedPlus Services allows you to bundle your product purchases from manufacturers like: 3M, BD, Covidien/Kendall, Alere, Smith & Nephew and over 300 more onto one single purchase order. All designed to make you have the ability to serve your customers locally while competing nationally.